Try us out absolutely FREE!! for a way better price"
– Our Realtors handle everything!! when we help you buy your next home!! Wondering how to furnish your new home? Traditional Realtor Services at Non-traditional Rates!! With NO UPFRONT FEES you can try us out absolutely RISK FREE!! Get more exposure, better tools, the power & support of a Full Service Realtor, all for a fraction of the cost of other realtors or DIY type companies. As your realtor We go above and beyond by providing far better service at a fraction of the cost, saving thousands of your hard earned equity. When selling your home with us you’re in total control and can cancel at anytime. Plus, unlike other realtors who just publish their listings on the MLS, we publish & market your home on the MLS & 100’s of other websites such as Realtor.com, Trulia, Zillow, 100’s of Social media pages, Youtube, Facebook and much more. Best of all, you’re controlling everything from one online account. Our team and your FULL SERVICE REALTOR will handle all the legal paperwork, offer negotiations, setup title and escrow, and be an advocate for you throughout the entire process. You’ll also get FREE advanced marketing tools such a YouTube virtual tour, a text for info #, a free webpage, and so much more. We’ll even SELL YOUR HOME FOR FREE when you use us to buy your next home. WHAT IS THE MLS? The MLS is an exclusive database open only to licensed Realtors and is where over 88% of all homes in 2014 were found and sold from. Don’t have all your homes information ready? Create a FREE account so you can have a central place to compile, store, and manage your homes information, pictures, and documents all from one spot. Registering is FREE, and with NO UPFRONT FEES you can try out all of our services absolutely RISK FREE. Technology continues to make it easier and easier for real estate agents to sell a home, yet agents are still charging thousands of dollars in commissions when technology is really doing all the work. 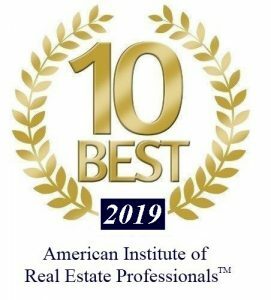 Because of this, it is our goal to redefine “Real Estate Services” by bringing together today’s advanced technologies with old fashioned customer support and provide better Realtor services that any homeowner can afford. With our advanced system we can help you keep your equity and sell your home fast and easily without paying thousands of dollars to do so. Create your listing absolutely FREE!! The Easiest Fastest Smartest Greatest way to sell!